Known as TrackTown USA, this outdoors-minded community has produced many great Olympic runners, the innovative Nike mega-company, landmark sports venues and a host of sporting events from popular marathons to five U.S. Olympic Team Trials - Track & Field. Duck fans cheer on local sports at Autzen Stadium and at local sports bars pouring regional microbrews. Craft beer is cherished here, and you can get a taste of the local flavor along the Eugene Ale Trail. 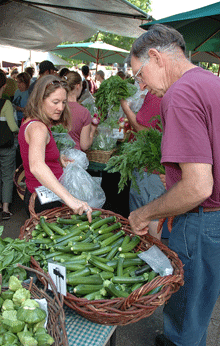 As a culinary destination, Eugene offers an abundance of locally-grown, raised and produced food products. From small farms to community gardens to yogurt, cheese, chocolate and coffee companies, the quality of Northwest regional dining is superb. A glass of award-winning Oregon Pinot Noir complements every meal. Framed by rolling wine country, agricultural lands and lush green forests, Eugene offers easy access to stunning natural beauty as well as abundant outdoor adventures. Just an hour west, romp on sandy beaches and explore dramatic coastal vistas, and just a few hours east, climb to the summit of snow-capped Cascades! The Eugene Airport is only ten minutes from downtown, and Amtrak rolls right into the city center. Hop on the Interstate-5 North to reach the state capital in under an hour or Portland in two hours. Together with neighboring Springfield, the vibrant city of Eugene provides an unparalleled quality of life affirmed and enjoyed by residents and visitors alike. Eugene F. Skinner, an enterprising early settler from New York, established a land claim on Skinner Butte (called Yapo-ah by the Kalapuya Native Americans) in 1846. Heavy rains thwarted his first town plots, earning his venture the nickname "Skinner&apos;s Mudhole." But Skinner believed in the viability of the area and pursued community building. He ran a ferry service across the Willamette River and served as postmaster. Eugene City was founded in 1853. 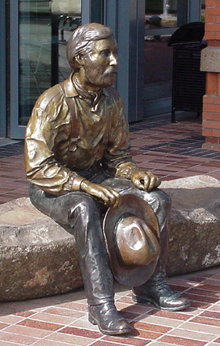 There is a statue of Skinner outside the Eugene Public Library. The first prosperous industries included agriculture, forest products and mining. In 1872, the University of Oregon was established, adding education to the local economy. 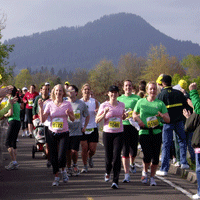 Today, as Oregon&apos;s second most populous city in Oregon, there is so much to do! 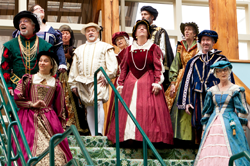 With many museums, local opera, symphony and ballet companies, and a multitude of performing arts venues including the 12,000-seat Matthew Knight Arena, the city hums with arts and culture. Take a walking tour of Eugene&apos;s downtown center where artisans offer one-of-a-kind creations and boutiques showcase designer products. Public art includes many outdoor murals and statues. On the first Friday of the month, join in a free gallery ArtWalk. With a strong counter-culture heritage stemming from the 1960s, Eugene has a reputation for being "green." Recycling, thrifts and innovative businesses based on sustainability are popular. Eugene&apos;s unique and colorful persona is present today at the Oregon Country Fair and the weekly Saturday Market. For maps or more visitor information, stop by the Downtown Eugene Visitor Center on 8th and Olive.